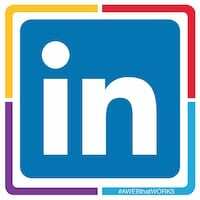 Learn how to better leverage LinkedIn, the largest and most powerful community of professionals in the world with 161 million members, from 200+ countries, on all 7 continents, from 170 industries and ALL Fortune 500 Companies! Join Sue Sutcliffe as she guides you through how to leverage LinkedIn — the world’s largest professional network — to optimize your professional profile, connect to who you need to succeed, grow your network exponentially and build authority. If you’re not driving leads and forging strong connections, something needs to change. Join Sue Sutcliffe as she guides you through how to leverage LinkedIn to optimize your business pages and how to best leverage LinkedIn to grow your business. Join Sue Sutcliffe as she guides you through how to leverage LinkedIn — the world’s largest professional network — to optimize your professional profile, grow your network, connect to who you need to succeed and find the right job sooner. I started to write you and then my message disappeared. Must be that kind of day. As I started to say, I participated in the EDCO webinar today but was the one who couldn't see your presentation – the link wouldn't work. I enjoyed it but felt somewhat 'out' of it because I couldn't see what the rest of the group was seeing. As I am still pretty new at using Linkedin and other social media applications I do want to familiarize myself. Can you send me your presentation plus the other resources you referenced in your presentation and e-mail? I was wondering if you could send a copy of the presentation as well to myself, I would like to share this with my municipal staff. I really enjoyed the tour you provided and recommend it to anyone thinking of using LinkedIn. Thank you all for the wonderful feedback and for your recommendations! So sorry you were not able to 'see' the presentation. I'd like to offer you a free training session to ensure you receive the value you paid for. If you could call my office 1-800-579-9253 and arrange a day/time that works for you, I will host another webinar to suit your schedule. I would love to host a similar session for your team and can accommodate 15 people per session. In the mean time I will forward you each the notes as requested. Next Next post: Windows Is Getting Better All The Time!